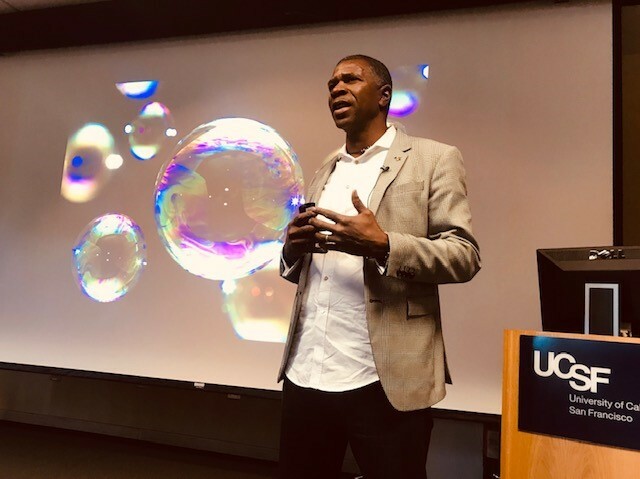 On January 25th, 2019, STEP-UP (SFGH Training and Education Programs for Underserved Populations) & HIVE: a hub of positive reproductive & sexual health collaborated to host Grand Rounds with Dr. Shawn Ginwright. Dr. Ginwright is a leading national expert on African American youth activism and development. 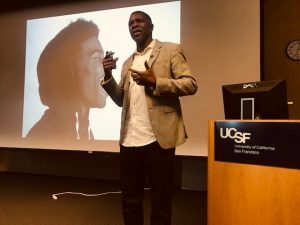 He is an Associate Professor of Education in the Africana Studies Department at San Francisco State University and the co-founder and Chief Executive Officer of Flourish Agenda, a social impact and research company that provides information, and strategies that improve outcomes for youth of color. He is the author of “Hope and Healing in Urban Education” and “Black Youth Rising, Activism and Radical Healing in Urban America” among numerous others publications. HIVE learned of Dr. Ginwright’s work through an article he published in 2018 entitled “The Future of Healing: Shifting From Trauma Informed Care to Healing Centered Engagement”. Focuses on the individual experience vs. the collective one. Fails to address the root causes of trauma. Focus on coping rather than healing. Healing Centered Engagement is explicitly political, rather than clinical. Healing Centered Engagement is culturally grounded and views healing as the restoration of identity. Healing Centered Engagement is asset driven and focuses on well being we want, rather than the symptoms we want to suppress. Healing centered engagement supports adult providers with their own healing. Have comments or questions? E-mail yamini@hiveonline.org.